Do you have a property for sale in Golden Anchor? Sell it with us! 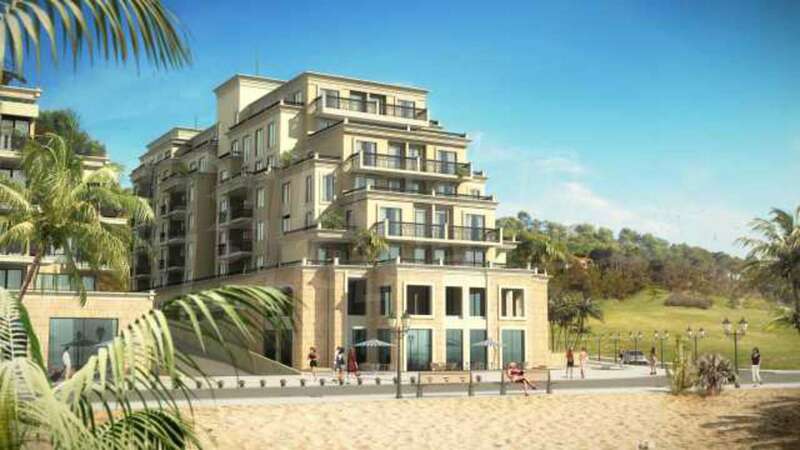 Golden Anchor Apartment Complex is a seaside beauty currently being constructed in a prime position just 20 meters from the sand beach in the heart of Golden Sands - one of the most opulent resorts in the Northern part of the Black Sea Coast. The sumptuous 7-storey waterfront development will be divided into five sections of apartments and one section of shops. 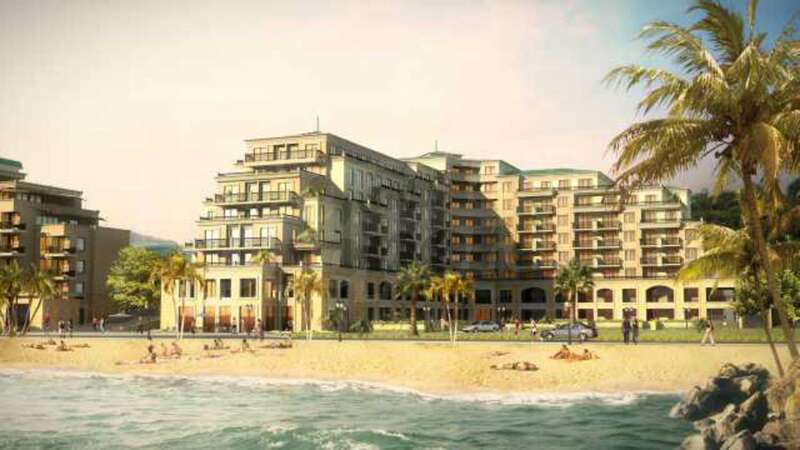 Each residential section will have a separate lobby and an elevator, while the apartments will vary from 60 to 190 sq.m of living area, all of them enjoying unobstructed sea views. Whether you are looking for a healthy capital investment or you simply want to treat yourself with the sensational beach lifestyle and the wonderful panoramic sea view, Golden Anchor Apartments can be your ideal new holiday home. • The Pros: simply too many to list, but we should mention: the large number of apartments, the diversity of size and layout, the proximity to the beach and the unobstructed sea views, and of course – the excellent potential for renting out to tourists and holidaymakers. • The Cons: maybe you should always reserve a table at the restaurant as thanks to its location it will be full all the time. The complex will have solid, brick-built structure and stone-panelled common parts. 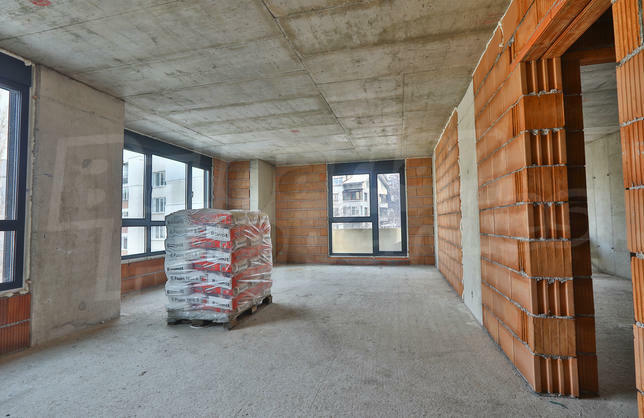 Each residential section will be thermo-insulated and the apartments will be finished with tiled and laminated floors and 3-layer glazed windows and doors. The complex will have 24-hour security service. • The beach starts at the foot of the forest - it is 3.5 km long, flat and up to 100m wide in places - and is known as one of the best sand beaches in Europe. The sandy bottom slopes gently into the sea and so there are no rocks, ledges or unpleasant drops. It is ideal for scuba diving and vacationing with children. • There are numerous restaurants and bars, sports and entertainment facilities (see the Map). The first aqua-park of its kind in the country - Aquapolis offers an area of 40 000 sq.m; and combines a natural park environment with a number of artificially created elements - pools, water slides, elevations etc. • For the adults, many festivities and cultural events in the renovated Amphitheater, namely: Formal opening of the holiday season and International Children’s Festivals in June, Concerts of folk groups during May-September, Outdoor music concerts of jazz, evergreen, brass formations during June-September, Golden Sands Days in the first week of August and International Meeting of Twins in September. The investors of Golden Anchor Apartments shall offer Property Management and Rental. • No company is needed to own an apartment in Golden Anchor Apartment Complex. 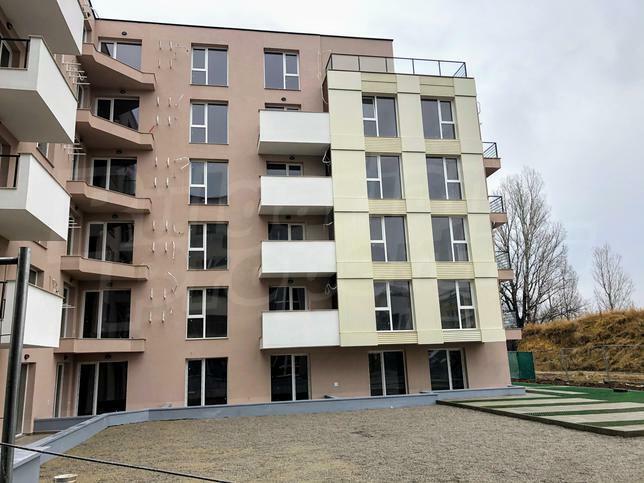 Any apartment in Golden Anchor Apartment Complex can be reserved by a non-refundable deposit of 1 000 EUR, payable by credit card (VISA, MasterCard) or bank transfer to the bank account of the developer. 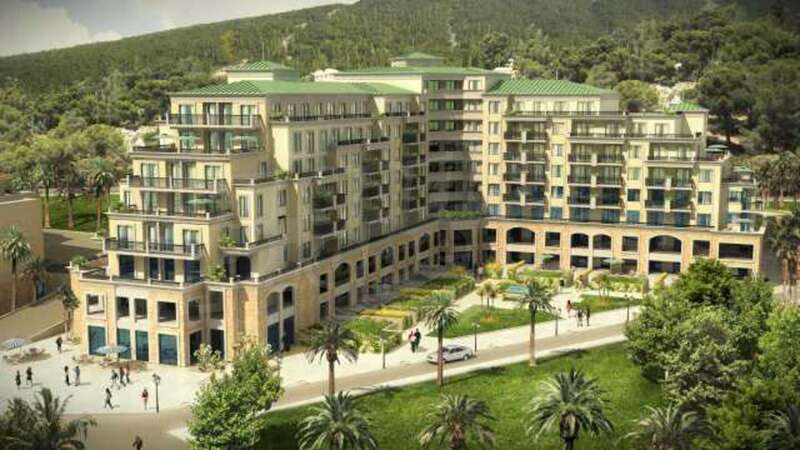 The buyer is expected to sign a preliminary contact with the development company and to pay the first installment within 14 days after reservation. BulgarianProperties charge 3% agency commission for Golden Anchor Apartments, payable when the first installment is due. • 1000 EUR reservation deposit (non-refundable), which sum shall be deducted from the last installment. All Golden Anchor Apartments will be completely finished with VAT including in the price. The total price paid will be fully indicated on your title deeds. 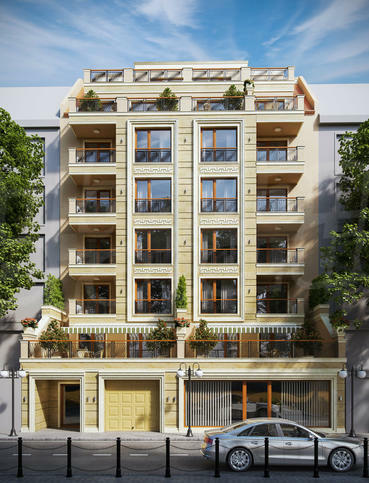 Every owner of property in Bulgaria pays an annual real estate tax and local communal tax the amount of which depends on the size of the property.